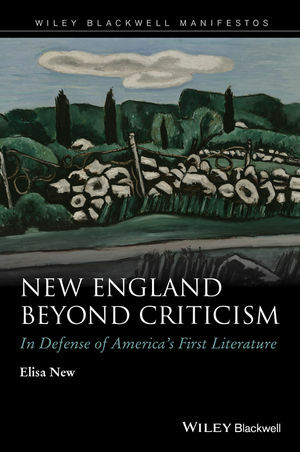 Timely and beautifully written, New England Beyond Criticism provides a passionate defense of the importance of the literature of New England to the American literary canon, and its impact on the development of spirituality, community, and culture in America. Elisa New is Powell M. Cabot Professor of American Literature and Language at Harvard University. She is the author of The Regenerate Lyric: Theology and Innovation in American Poetry (2009), Jacob’s Cane: A Jewish Family’s Journey From the Four Lands of Lithuania to the Ports of London and Baltimore (2009 and 2011), andThe Lines Eye: Poetic Experience, American Sight (1999).